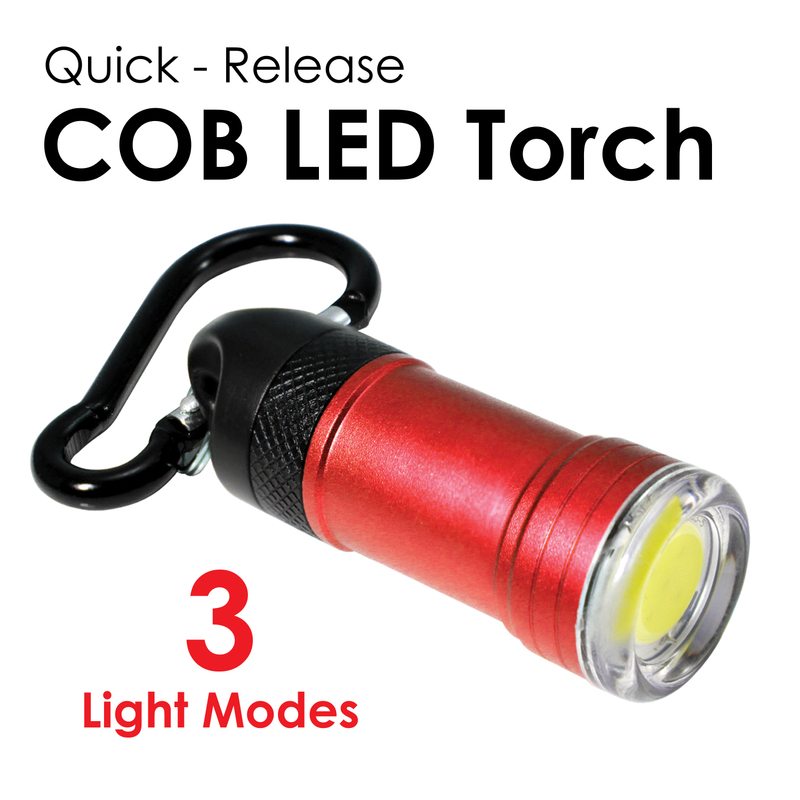 This powerful little torch punches well above its weight! 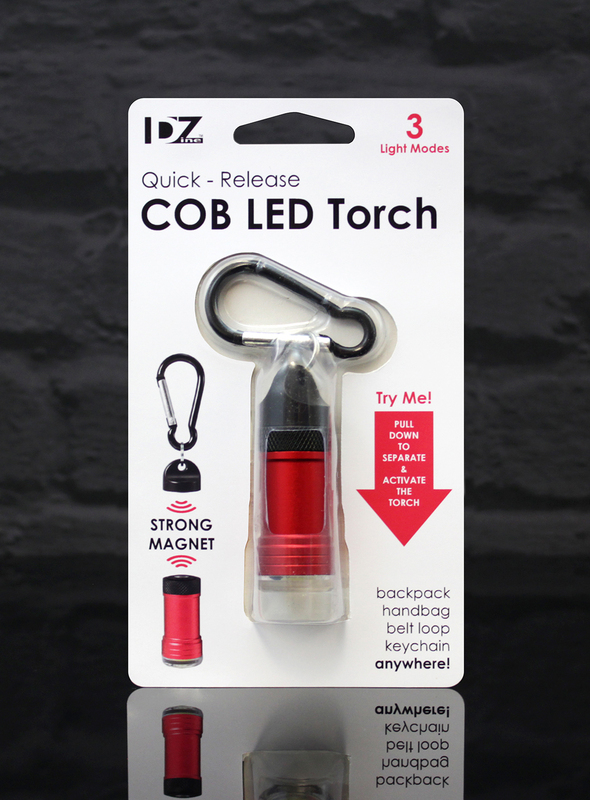 Simply detach the torch body from the the carabiner clip to activate the COB LED, each time the torch is detached it cycles through the 3 light modes - Full Power - Half Power - Strobing. 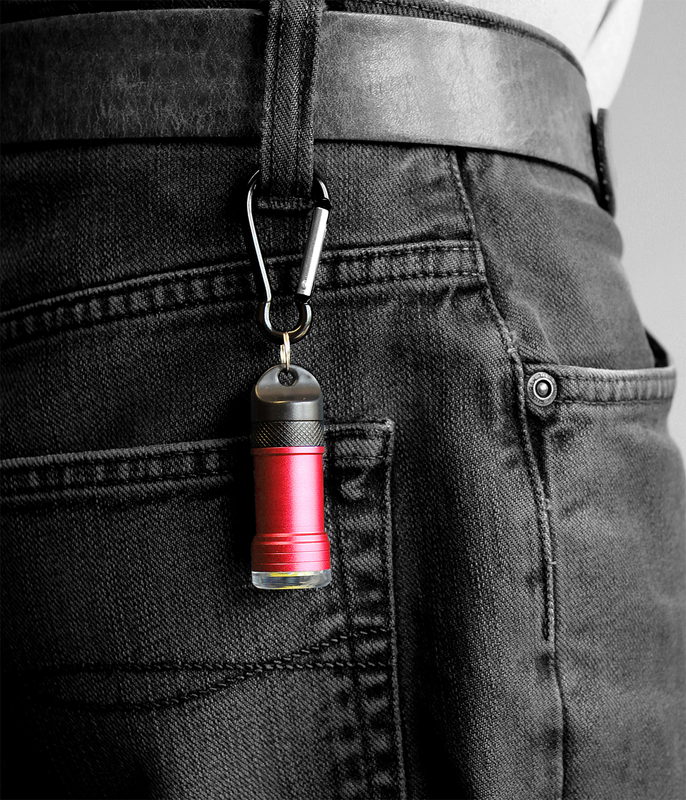 Measures 110mm including carabiner clip. 4 x LR44 Batteries supplied and are replaceable. 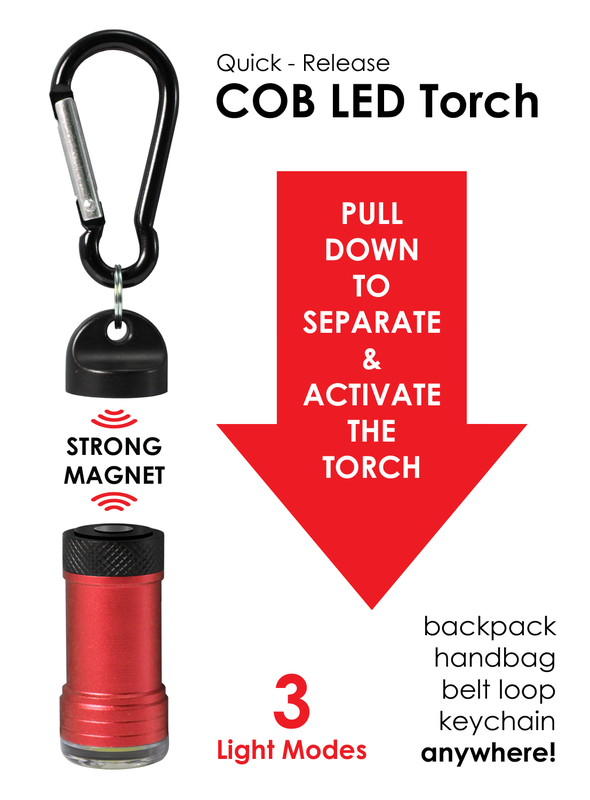 Supplied 24 in a counter top display.